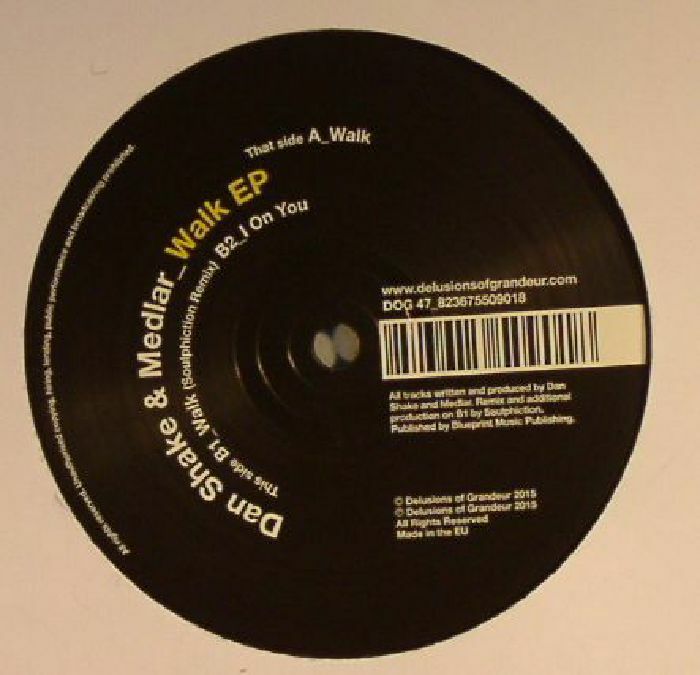 Dan SHAKE/MEDLAR Walk EP vinyl at Juno Records. Delusions Of Grandeur have been relatively quiet on the release front this year, but they're back with a bang thanks to this latest collaborative effort from Dan Shake and Medlar. The former has gotten a name thanks to being the first non-Detroiter on Moodymann's Mahogani Music, while the latter has been pushing his disco-friendly take on house music largely via the Wolf Music imprint. 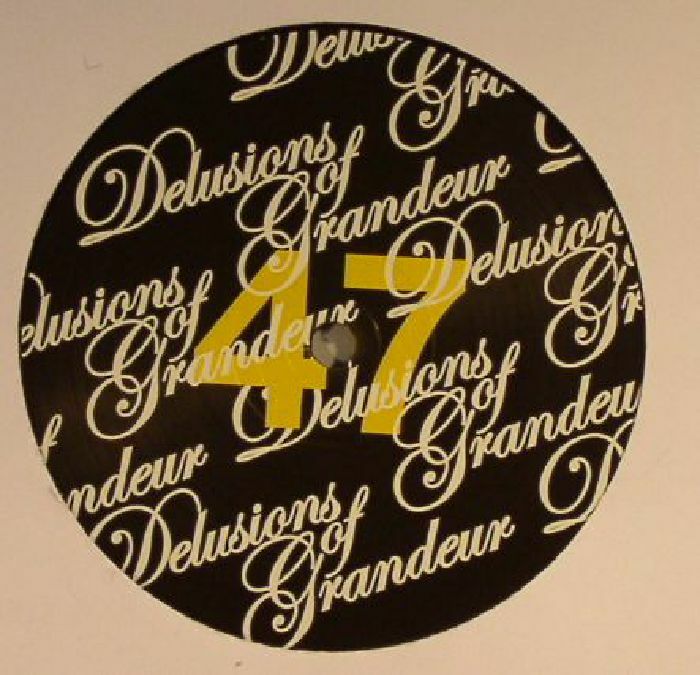 They got two cuts on here, the first one being a boogie-leaning, hazy summer club jam in the form of "Walk", and the second one a jazzier affair with plenty of soulful vocals and tribal drums called "I On You". Philpot bossman Soulphiction takes care of transforming "Walk" into a pot of filter-licking madness, where the percussion is stretched and freaked out further out into the ether compared to the original. What a package!